Several years ago, people were fighting to restore York Minister’s renowned stained-glass windows. Now, that dream has become a reality. 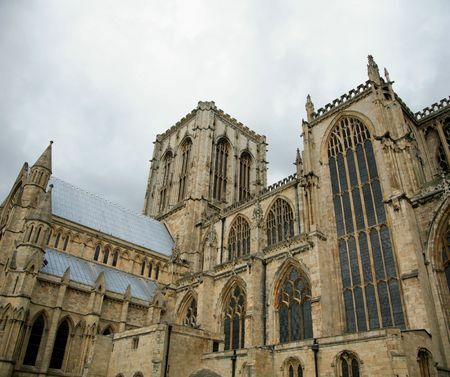 Named for the town it was built in, York Minister has been a major Christian center in northern England for centuries. Although the earliest version dates back to 627 C.E., the current Gothic version that stands today was constructed between the years 1220 and 1472. The great east window was the cathedral’s pride and joy. It depicts several scenes from the Bible, including stories from the Book of Revelation. John Thornton, one of Britain’s greatest glaziers, was hired for the job which took him three years—between 1405 and 1408. He was paid a grand total of £56 for the job. By 2005, when conservationists assessed it, the great east window was in serious disrepair. Six hundred years of dirt and grime had left its mark on the stained-glass, and the stone around it had weathered, causing the window to bow. A little over ten years later, a restoration project began, and, because the window was so large, it had to be done in two stages. The first stage, in 2015, replaced and restored 157 of the panels. Two years later, in 2017, the remaining 154 were restored. The final panel, called “The Fifth Day of Creation” which depicts angels watching God create birds and fish, was the last piece to be re-installed. Overall, the entire project cost $14.9 million. Quite a bit more than the £56 John Thornton was paid. While Cumberland Stained Glass Inc. didn’t work on York Minister’s great east window, we still recover and restore all sorts of stained-glass windows to their former glory. Contact us to find out more about our services.